A tire pressure monitoring system (TPMS) refers to an electronic tool that is primarily used to measure tire air pressure. The system automatically sends a warning signal to the driver in case of an over or under inflation of the tire. Tire pressure monitoring technology helps to maintain good tire health, fuel efficiency, and improve vehicle safety. According to the National Highway Traffic Safety Administration, there are about 533 annual fatalities in the US that are caused by defective tires (Source). If you are among the “unlucky” drivers, whose vehicle is not equipped with such device, don’t worry. You can still buy a good TPMS tool for your car to prevent accidents caused by a bursting tire while your vehicle is in motion. These tools will also detect low or high temperature and pressure, and they will alert you instantly. Tire defects can be avoided by investing on the best TPMS tool. With the ideal TPMS tool, you will be able to ensure that your vehicle and tires operate safely as per the recommended factory conditions. Below is our review of the most effective TPMS tools on the market. In addition to brief description of the tool, each section includes detailed technical specs and tips on how best to use your TPMS device. This is our number one choice owing mostly to the device’s low retail price and its huge popularity among online consumers. Tire pressure monitor sensor activation tool is simple, fast and easy to use. It activates the individual TPM sensor with the press of one button. The EL-50448 TPMS reset tool can help you reprogram all tires much easier just in 3 steps. First, you have to ensure that the vehicle is in the TPMS Learn Mode. Once this is done, you can follow the standard service procedure. Hold tool against the sidewall of the tire, near the valve stem. Depress “Learn” button while holding the tool against the tire sidewall. Most of G.M vehicles are equipped with a 315 or 433 MHz (TPMS) Tire Pressure Monitoring System. A “Sensor Re-Learn Procedure” must be performed after tire rotations, Remote Control Door Lock Receiver Module replacement, or Tire Pressure Sensor replacement. Use cruise to choose TPMS re-learn mode in the dashboard settings. Different vehicle may need different times to reset all tire sensors after rotation. TPMS reset tire pressure monitor sensor tool for GM Series vehicles 2010-2013 package does not include the charger and battery. Before you proceed with the purchase of this TPMS tool, please check your car model whether it can work with EL-50448. This device is not suitable for trucks. For best results please use new 9V battery. Also, TPMS tire pressure sensor on models after 2012 can be read only with some special diagnostic tools. 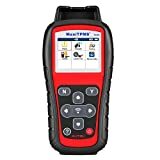 The MaxiTPMS TS401 from Autel is a new generation TPMS diagnostic and service tool which features unrivaled sensor coverage and incredibly user-friendly interface. 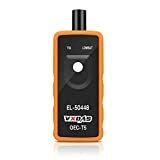 If you are a professional mechanic, this versatile tool provides you with easy and quick access to the faulty TPMS sensor to help you increase customer satisfaction and boost your reputation. With its graphical display with easy to follow step-by-step directions, this tool prompts the user to select vehicle make, model and year and then trigger sensor on each wheel. To displays sensor data, simply press Activate/Signal button to activate the sensor and read the sensor ID, battery level, tire pressure and temperature. So as to displays specific data, press the Help (?) button to display vehicle-specific relearn procedures. Autel’s technical support is accessible via a toll-free telephone number, email, or chat. Their customer service representatives are available 24/7. They are dedicated to answering all possible questions of the customers, so as to guarantee their ultimate satisfaction. Autel is one of the leading developers, manufacturers and distributors of professional automotive diagnostic tools, equipment and accessories. Since its start more than ten years ago, the company has been committed to producing some of the most innovative and efficient tools and offering them to its numerous customers at affordable prices. In addition, they are providing their customers worldwide with enduring value and industry-leading support. Please note that this device does not support OBD functions, meaning that it cannot read or clear trouble codes, but it can reset the TPMS and turn off the lights. When the lights go off, the trouble codes might still exist, but their status will become ‘historical’ from ‘current’ and the TPMS will be able to function normally. Despite Japanese vehicles do not support OBD learning but only copy, the vehicle coverage of tS401 can independently extend to 75 percent. Therefore, for the garage, or tire pressure repair shops, we recommend TS601 or 501. For those who only need the sensor activation function and do not need to deal with the tire pressure problems of Japanese vehicles, TS401 is their best choice. This is a high performing tire relearn tool that works for both Ford and GM vehicles. It is integrated with a 433 or 315 MHz tire pressure monitoring sensor. It is an important tool for exchanging tires, remove tire pressure alarm, and replacement of tire pressure sensor. It is compatible with Mercury/Lincoln/GMC/Chevrolet/Cadillac/Buick/Ford/GM that are equipped with 433 or 315 MHz TPMS sensor. The tool’s easy to use circuit design will activate each sensor with a single press of a button. It is inexpensive and simple, but it works wonders. With this tool in your possession, you won’t need to go to a tire store or dealer to get your tire pressure sensors reset. It is remarkably easy to operate. The tire pressure has to be reset after maintenance is carried out when your vehicle’s tire pressure indicator light is on. Once the reset is done, turn the TPMS light off. With its 2 in 1 Relearn function, Super EL-50448 works for both GM series and EL-50449 Ford Series TPMS 19 Relearn. This tool sits on number three on our lists for its wide vehicle coverage. 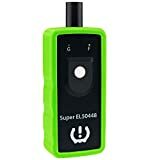 The Tire pressure monitor sensors (TPMS) on most General Motors models, including Ford, Buick, Cadillac, Chevrolet, GMC, Lincoln and Mercury can be reset by using Super EL-50448, provided that the vehicle is equipped with a 315 or a 433 MHz TPMS sensor. Super EL-50448 Tire pressure monitor sensor activation tool is simple, fast and easy to use. It activates the individual TPMS sensor with the press of a button. To get started, ensure that the vehicle is in the TPMS Learn Mode, and follow the service procedure. Hold tool against the sidewall of the tire, near the valve stem. Depress Learn button while holding the tool against the tire sidewall. When using Super EL50448, please make sure the antenna in the correct position. Please make sure the 9V battery is not depleted. This device can work on some truck models, but heavy-duty service is not guaranteed. Autel has always known that maintaining proper functioning tire pressure monitoring system is nothing easy. That is why they have developed the TS508 that does simplify the process from tons of guesswork. This is a new generation complete TPMS tool that provides two service modes for powerful and fast repair options. The service modes include quick and advanced. The quick mode executes basic functions: scan sensor, program sensor, relearn procedure, and sensor information. If you need to program an MX sensor, you simply select program sensor and choose one of the three programming methods: copy by activation, copy by manual input, or auto create 1 to 16 sensors. Each programming method has its own convenience. The TS508 new auto create method can program up to sixteen sensors with a press of a button. It is a great feature for fleet technicians. This unique tool has relearn procedures for every TPMS equipped, US, Asian, and European vehicle. The advanced mode performs wide-ranging TPMS functions. It checks sensor and diagnose TPMS system status. This device programs MX sensors, display relearn procedure, and perform sensor position relearn. It does also check OE and MX sensor info and OBDII port location. 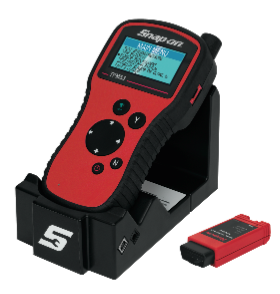 The MaxiTPMS TS508 is a new generation TPMS diagnostic and service tool, specially designed to activate all known TPMS sensors. By using the Quick Mode and Advanced Mode options, you can save time and energy, selecting the most suitable way to complete your particular TPMS task. The two modes of operation allow experts and amateurs to perform faster and smarter TPMS repairs. These devices are built to match or exceed OEM sensors in frequency, strength and durability. The MX-Sensors are 100% ID clone-able with no relearn required. The Quick Mode enables users to activate or read all sensors and program MX-sensors, while the Advanced Mode allows users to perform in-depth diagnostics of the TPM system and perform OBDII relearns on many vehicles, including most Asian vehicles that need this type of service. The Quickset Light TPMS Reset Tool is the perfect tool for the DIY enthusiast who wants to reset the TPMS light themselves, after having changed or rotated tires, or replaced a dead TPMS sensor. It features a shop-sturdy, rugged enclosure that is oil, water, dust and dirt resistant. This guarantees years of protection from spills and drops. It is equipped with a 3.5-inch high resolution screen that is icon based for effortless navigation. This tool gives you untethered freedom of a Bluetooth wireless device. Save time and perform additional diagnostics during tire service rotations, tire sensor evaluation, and reset procedures. It has an outstanding wireless OBD II module that allows you to initiate as well as perform relearn procedures. It has a 2 GIG SD card that store a huge amount of your vehicle’s history. The built-in USB port allows for easy and quick software updates. It comes with an RJ45 cable that provides you with the ability to troubleshoot the device when the Bluetooth connection fails to connect. This way, you can identify if there is a problem with the OBD II module or the software. The kit also includes a battery charger. With a fully charged battery, this tool can relearn up to 250 vehicles. This simple TPMS relearn tool transfers the new TPMS sensor ID’s into the vehicle’s Electronic Control Unit. 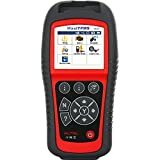 The Quickset TPMS reset tool has the capacity to store two sets of wheels for each vehicle (summer and winter tires) and is limited to four cars. To get started with the ATEQ QuickSet TPMS reset tool, you should first obtain wheel sensor ID’s from a TPMS tool such as a VT56, VT36, or from a tool workshop. Next, you should download the Quickset program (ATQuickset) to your PC from the company’s support page. Alternatively, you can install it from the CD that is included in the kit. Make sure the tool is plugged in while installing, so that all drivers install correctly. On the start screen, click NEW VEHICLE, then select the vehicle’s make, model and year. Follow on-screen instructions to enter the four new sensor ID’s. Here is another amazing Autel TPMS tool. It is engineered to perform the following: program Autel MX-Sensor, activate TPMS sensors, extract OBD II & TPMS codes, and turn off TPMS warning light. 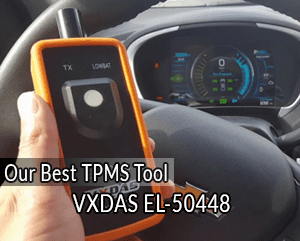 With this tool, you can effortlessly view the TPMS status, and at the same time, compare ECU and sensor data through the high resolution screen. The screen is well-organized, allowing for direct and clear feedback from all the four sensors. Programming MX sensors is a breeze. It can effectively maximize its use when replacing faulty sensors or programming the MX sensors. It does also feature multiple sensor programming methods: auto create, manual create, copy by OBD, and copy by activation. The tool is capable of receiving both 433 and 315 MHz signals. It is well-equipped to program single tires for Citroen, Renault, and Chrysler. It does also perform special functions and actuation tests. Direct TPMS tools use TPMS sensors that are situated inside the tires to report pressure information to the car’s ECU in real time. The direct systems include European, domestic and Asian vehicles. A large number of TPMS tools utilize UHF radio for transmitting data to the vehicle’s ECU. The most common UHF signal used across the globe is 315 MHz, and 434 MHz signal in Europe. Some systems include a separate antenna or receiver near each tire. Indirect TPMS tools uses a vehicle’s Antilock Braking System tire speed sensors. Usually, if a wheel’s pressure drops, it will rotate at different tire speed compared to the other wheels. This info is sensed by the vehicle’s computer system, triggering the dash indicator light. Unlike the direct TPMS tools, an indirect TPMS system does not have actual sensors in the tires. Most automobile companies have recently moved to the direct TPMS system. However, there is a significant percentage of vehicles that are still using indirect TPMS systems. There is a debate going on over indirect and direct TPMS systems. According to research, most drivers do not appreciate the responsibility of resetting indirect TPMS system manually. Indirect systems also require you to install specific wheels when performing a replacement for the system to work properly. The types of sensors used with the TPMS tool are very important. The sensor can be internal or external to the tire assembly. External sensors are attached onto the valve stem where the valve cap is usually situated. Apart from the fact that they can easily be damaged, external TPMS sensors can be stolen or forgotten after an adjustment of inflation pressure. They are completely unprotected from the environment. They are not extremely accurate as far as measuring temperature is concerned. The only benefit of these sensors is that you do not have to demount the tires to install them. Internal TPMS sensors can installed on the valve stem, on the inner liner of a tire, or on the wheel. Unlike external TPMS sensors, the internal ones are well-protected from the environment, and they are capable of measuring temperature accurately. Internal sensors are effective at producing overheating alerts. This helps to avoid axle end fires. Unlike external sensors, the internal ones are installed when the tire has been removed from the wheel. Universal sensors are engineered to substitute the original equipment sensors for automobile aftermarket. You will find different brands of universal sensors in the market. The two major makes are configurable and programmable. Programmable sensors are programmed by the TPMS tool, allowing for easy sensor replacement. When replacing a broken sensor, the TPMS tool would clone the communication protocol and ID of the broken sensor onto the programmable sensor. This way, the vehicle will not detect any change when the new sensor is installed. On the other hand, configurable sensors have parameters and protocols already stowed in the sensor. All you have to do is activate the sensor with a TPMS tool. TPMS sensors use either rechargeable or non-rechargeable batteries. There are some rechargeable batteries that have a lifespan of five to seven years, while there are others that have a shorter lifespan. No one wants to deal with sensors that require periodical battery replacement. Therefore, when shopping for the best TPMS sensors, you should not only consider the price, but also the total cost of the sensors over useful life. The best TPMS tool is one that stands out in terms of performance. TPMS service is frequently confusing and complex. So, having a model that comes with a support mechanism is crucial, such as TPMS tech support hotline. Choose a highly versatile TPMS tool that comes with alerts and reminders. You need a system that offers alerts for overheating and over inflation. The tool should also have alerts for dual tire pressure differences. The reminders should be based on your vehicle range for checking the nut toque of the wheel after a tire change. As with any other purchase, planning your budget is essential when looking to buy a well-made and reliable TPMS device. Unless you run a repair shop, or you are a professional mechanic, we advise you to stay clear of the more expensive models. Some good and hard-working TPMS tools can be yours for a little over $ 20, and some models are even cheaper. When buying a TPMS tool, you want the thing to work with the widest possible variety of car makes and models. Please note that some of the reviewed devices do not run on Japanese cars, and few of them run on trucks. We advise you to purchase a machine that works on Japanese and American vehicles alike. As with any other devices that you buy, you want your TPMS tool to serve you and not vice versa. You do not need one that makes you scour dozens of internet forums for info on how to get it going. The time you spend reading user reviews on a particular product is never wasted! It is highly recommendable to purchase your TPMS tool from a company that is renowned for its stable and reliable customer support services. If your device gets out of order, you need to quickly receive some valuable advice on how to get it working again. A TPMS activation or trigger tool allows the user to activate or trigger the wireless tire pressure monitoring sensor mounted within a tire. For example, all TPMS sensors have an internal battery that can get low or drain while in storage. When a vehicle is manufactured in a factory, the TPMS sensors mounted within the tire are left in “sleep” mode when delivered to a workshop or dealer. Therefore, the TPMS activation tool is needed to “activate” or “wake up” TPMS sensors mounted within the tires. Having read our review, we are not sure you have enough info to buy the TPMS tool that will work best on your vehicle!